Pre-orders for the company's augmented reality headset are live today. 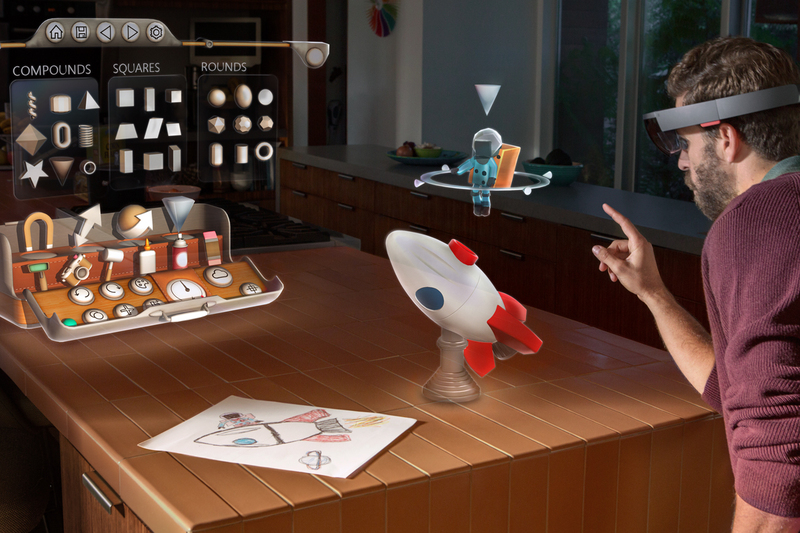 If you're a developer, today's the day Microsoft is making good on its mixed-reality promise. Pre-orders for HoloLens, the company's augmented-reality Windows 10 headset, are now live. Invites to purchase the $3,000 device will begin to hit the inboxes of those who've already applied, while others can sign up today for a shot at building out HoloLen's ecosystem of apps. And the wait won't be that long either, as Microsoft plans to begin shipping units in the US and Canada beginning March 30th. Microsoft is stressing in today's announcement that its AR headset is still far from a consumer reality. This is in line with recent comments made by Alex Kipman, the engineer behind Kinect who, according to Recode, said he was "in no rush" to ready the headset for a commercial release, the reason for this being there just aren't enough compelling applications to justify the current high price point. Which is why Microsoft's making six dedicated HoloLens applications freely available to developers as soon as they receive their units this spring. Kudo Tsunoda, who heads up the Windows App Studio at Microsoft, said in a blog post today that this suite of AR apps is designed to "highlight unique capabilities of HoloLens and to illustrate for developers how they can be used in everyday applications." To that end, the company's readied a mix of communication, creation and gaming apps. This includes a special version of Skype aimed at developer collaboration; HoloStudio, which showcases the ability to create 3D holo-objects, as well as program gaze, voice control and gesture commands; and HoloTour, a sort of virtual tourism app that makes use of the headset's spatial audio. As for its gaming bundle, there's the repackaged Project X-Ray, now known as RoboRaid, a shoot'em up where you have to take down renegade alien insects as they crawl out of your walls; Young Conker, a platformer that maps itself to your environment so that every play through is slightly different; and, finally, Fragments, a crime drama that places AR characters in your living room for a game of "whodunnit." Microsoft also has one additional AR app waiting in the wings, but it won't be made available until this summer. That app, Actiongram, is focused on digital storytelling and will allow "creative coders and content creators" to make mixed-reality videos. In all, today's news is a strong sign that Microsoft's keen to avoid repeating mistakes with innovative tech, like the now-shelved Kinect, that are not quite ready for prime time. By investing wisely in its developer community, the company can ensure that whenever it does make HoloLens available for the masses, it will have a clear and obvious purpose.